So....of course the numbers remain the same. 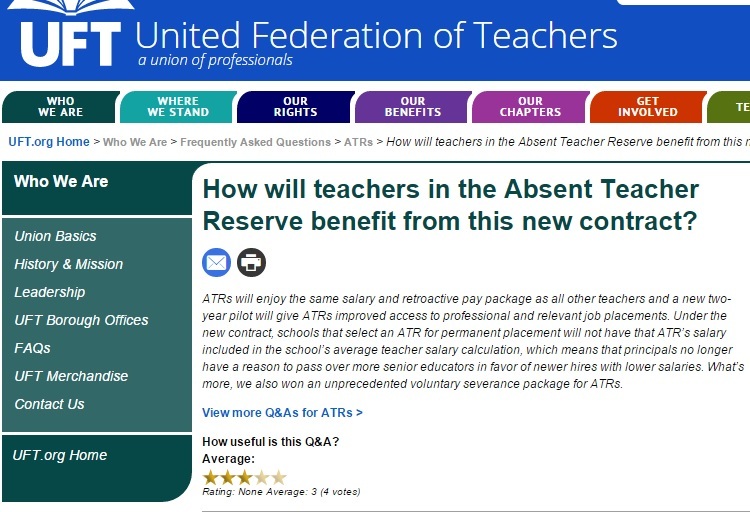 ATRs or Absent Teacher Reserve personnel, are mostly (not all) tenured educators who need something called (and here please excuse me for using some foul language never used by the DOE) "due process". ATRs have no rights. They are, as Eric so aptly calls these folk, second class citizens in the education world. In my experience - watching and doing 3020-a hearings for teachers as well as helping teachers find some way to fix NYC DOE errors for the past 13 years - I do not see a single person from any group, whether it be the United Federation of Teachers (UFT) or the employer, the NYC Department of Education, lift a finger to help any teacher in need of anything, much less for ATRs. Except, interestingly enough, at 3020-a, where the 'good' arbitrators are seeing that ATRs cannot be disciplined simply because there are no authorities or guidelines to evaluate tenured substitute teachers. 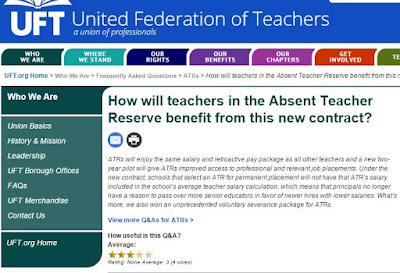 The UFT website keeps the bizarre statements up that ATRs benefited from the new contract. Bulloney. Yes, I know this is a sweeping general statement, but prove me wrong. The main rule for termination at 3020-a is that the Respondent, or the person charged must be either unable to improve (for incompetency charges) or impossible to remediate (after charges with incompetency or misconduct). 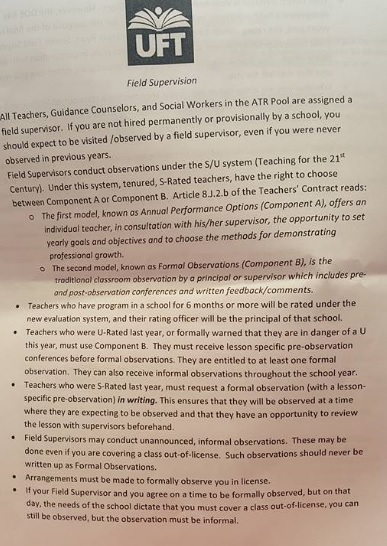 In other words, if you are an ATR and the Field Supervisor observes you 3 times during the school year at your various schools, and says that you are a disaster and cannot ever be satisfactory (see below - ATRs are still evaluated under the S/U system), then an arbitrator can terminate you. No they cant. Not in the real world. And if someone tells you "that is the way it is..." then you know that they didnt fight the absurdities the UFT and DOE are putting out there. Absurdities exist because people accept them, or do not fight them. The answer to "Why not?" is mysterious, except that I understand that many people rely on reps, attorneys, and others who simply dont know or dont care to know any facts. Then you back up this personal opinion by arguing that this subjective view cannot be used for a termination by saying hey - this evaluator harassed me, discriminates against me, wants me off the school budget, etc, and obviously sees me through colored lens with the intent to harm. Second, evaluators, to be credible, must have a position within the school that allows them to make informed decisions about you, the teacher, and the pedagogy you use in the classroom within your license to students who are able to learn what you teach. If you are an ATR special education teacher assigned to a high school physics class with 34 general education students and you are evaluated by a Field Supervisor who says you cant teach and will never be able to teach, this is nuts. Similarly, if you need to have brain surgery and the hospital assigns an orthopedic resident to do it, would you say that the doctor assigned is incompetent? Absolutely. (Well, you would unless you have secret suicidal tendancies, but that is beyond my pay grade). Third, in my opinion, everything the NYC DOE does is based on money, not merit. When a teacher is given a U/developing/ineffective APPR, your salary is frozen except if you are between salary step 1a-8a and not at the end of the salary steps or BA-MS-CA+30. You still get your longevity raises, but the bottom line remains: the principal benefits from giving you a bad evaluation despite your performance. A plane could fall from the sky and make a hole in the roof of the school, and you will be blamed and charged. Often the only criteria for being charged is your salary. That's what a good legal team hired to support you, proves at 3020-a and in grievances/U-rating appeals so that you overcome the U/ineffective/developing rating. The evaluator is not credible/has no authority/violated standards and guidelines. 20 they're looking to get a license, a regular license. experience is a key factor in teacher performance. 14 same responsibilities teacher that they go in there. not teaching in their licensed area." James' wife, Maria Quail, works at the NYC DOE on Zerega Avenue in the Bronx. Mr. Quail uses her office to copy papers. Thank you again for meeting with me today- it was a pleasure. As per our conversation today, I am here to support and encourage you in your continued growth in your instructional practice, finding permanent employment, and improving your attendance. To demystify, any questions you may have on your instructional focus as a teacher in the ATR Pool, I have attached a copy of the Chancellor's Instructional focus for the 2013-2014 school year. Again, I thank you for the visit and will be making outreach to you in the very near future on the date and time of your formal observation. • To introduce myself to you and survey your professional development needs, as well as note your individual placement concerns. • To convey the Department of Education’s instructional and professional expectations. • To work with you in further developing your placement plan and seek your input in expediting the placement process. I look forward to listening to your concerns, sharing our common expectations, and supporting your efforts to secure placement and continuing to serve students throughout the year and moving forward. I am working with your assigned school to visit you tomorrow Wednesday, October 2nd in the afternoon. Please let me know if you will not be available. I can be reached at the following email address: amendez3@schools.nyc.gov or at cell phone number: (646)483-3129. There is nothing in the above notices that Ayo Mendez would be evaluating the new ATR and testifying at a disciplinary hearing. In fact, I was so convinced that the Field Supervisors in my client's 3020-a hearing were out of line that we, the Attorney and I, kept Ayo Mendez in cross-examination two days (1 day direct testimony, 1 day cross-examination), James Quail three days in total (1 day = DOE direct, 2 full days cross examination), and Mark Ryan testified for a full day as well. I learned alot, especially that the Field Supervisors do not follow the guidelines and think that they can rate a teacher on what they saw him/her doing in the classroom for a few minutes, never asking anything about the students, whether the students have IEPs, 504 Plans, SOHO reports, etc. The Field Supervisors are not members of the school community and ATRs are substitute teachers. There are no regulations which can approve disciplinary observations of a substitute teacher by a Field Supervisor. ALERT: the second paragraph now gives Field Supervisors the right to make "recommendations" to the appropriate District Superintendent for "final ratings and/or tenure" [for probationary staff]. Who gave any notice to ATRs about this change? How does such change in the authorities of rating officers occur without anyone saying "hey, wait a minute!" Hey, wait a minute. Stop this mess. The city failed to substantially shrink a costly pool of teachers who are unassigned to any school in 2015, according to figures released by Education Department officials Friday. The city’s so-called Absent Teacher Reserve consists of teachers who have been removed from their permanent jobs for a variety of reasons and instead work as substitutes. The latest figures released show there were 1,083 such teachers employed by the city as of January 2016, down just slightly from 1,102 such teachers a year earlier. Education officials wouldn’t say how much the pool costs the city. But previous official estimates have put the average annual cost for each mothballed educator at around $100,000. 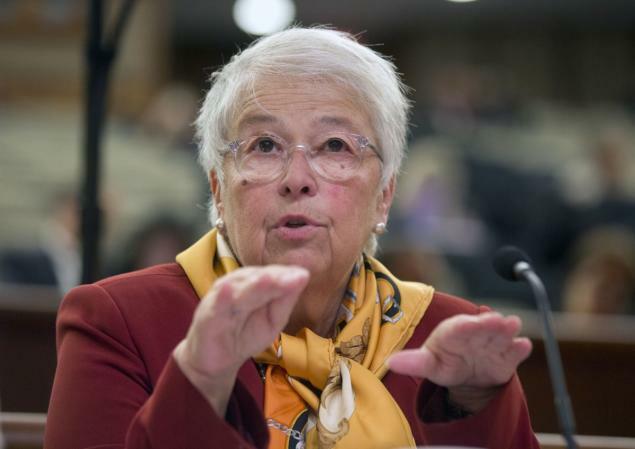 Schools Chancellor Carmen Fariña said the city remains focused on providing quality teachers to students. A year after starting to rotate teachers without permanent positions into different empty slots weekly, the Department of Education has settled on a way to evaluate them. But the plan, hiring administrators to observe and coach the teachers in multiple placements, could be stymied if the department cannot find enough available evaluators who are up to the task. Last year, when the city launched the rotation system for members of the Absent Teacher Reserve, it left up in the air the question of who would be responsible for evaluating them. Previously, ATRs were typically assigned to one school for the entire year, so principals could rate them as they did any other teacher on staff. For almost all of the roughly 830 teachers in the pool at the end of last year, district superintendents ended up issuing the annual ratings with input from potentially dozens of principals who supervised each teacher — in most cases, without conducting the formal observations that teachers are required to receive each year. But in Brooklyn, which had about 250 ATRs last year, the city took a different approach. It interviewed and selected five administrators who had also lost their positions to budget cuts or school closures to visit the teachers in their classrooms and give them feedback about their performance. The “field supervisors” each took on a caseload of between 20 and 30 ATRs, observing them several times throughout the year and conducting four training sessions for them as well, according to department officials. Ultimately, the administrators rated each teacher as either satisfactory or unsatisfactory at the end of the year. But the officials said they received few complaints from teachers participating in the pilot and found that the administrators selected for the task largely were conducting the observations in good faith. Some ATRs whose first observations netted them an unsatisfactory rating even had that label reversed after follow-up observations documented progress, the officials said. Ultimately, 60 of the ATRs evaluated last year were rated unsatisfactory overall, according to city data — a rate three times the citywide rate but hardly suggestive of a broad effort to push ATRs out of the system, particularly because a higher portion of teachers in the pool had previous U-ratings. Teachers who receive two U-ratings can be fired, and one low rating can make it harder for teachers to land a permanent position. Now the city is planning to expand the observation system piloted in Brooklyn to the rest of the ATR pool, which today numbers about 1,822. The number is likely to shrink by the end of October, when schools set their student registers and more teachers receive offers for permanent positions. Amy Arundell, a teachers union representative who oversees personnel matters, said the union is in favor of the pilot’s expansion. 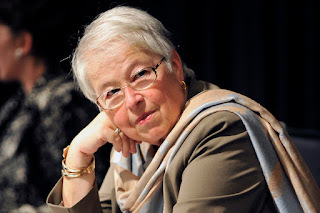 “We’re supportive of the DOE creating a structure whereby folks in the excess pool get the same kind of support that all teachers across the system are supposed to get,” she said in a statement. But union officials said they have been told the expansion is contingent on having enough administrators on hand who are both capable of the unorthodox task and contractually able to complete it. Currently, there are 200 administrators in excess in the city, according to department officials. Teachers in the ATR pool who were rated last year said they were not satisfied with the way they were evaluated. One teacher who attended a hiring fair on Thursday said she did not remember being observed at all, but she received a satisfactory rating anyway — a designation she said felt completely arbitrary. “Whatever they ask you to do, you just do it,” she said of the assignment process, which had her teaching middle school at times and preparing her own lesson plans when someone she substituted for did not leave instructions. A middle school teacher starting his third year in the pool said he was part of the Brooklyn pilot last year. Even with an observation, he said, he found the system “unfair” because his supervisor had little information about his performance before issuing a satisfactory rating. The strong mark came “only because I happened to get an honors class on the day that he observed me,” said the teacher, who asked to remain anonymous. He said he was observed twice but not offered any extra training. Connie Pankratz, a department spokeswoman, said the city was short on manpower last year, so it focused the observations on teachers who had been reported for problems such as poor attendance. This year, the department intends to observe every ATR at least once, she said. But she said she did not yet have concrete details on how the program would roll out and who would staff it. The evaluation strategy, which Pankratz said had been developed with the union’s support addresses one problem posed by the rotation system: Each ATR does not have a regular set of supervisors. But it does not tackle some of the other system’s other challenges. Because many of them receive assignments outside of their license areas, or at schools that only need help with administrative tasks such as record-keeping, judging their teaching quality is trickier. That reality was reflected in the ratings issued last year, union officials said, noting that most of the U-ratings were for attendance issues. A low rating attributed to incompetence in the classroom would be easily challenged if the city could not show the teacher had been observed and given chances to improve, or if the teacher was handling classes he or she was not licensed to teach, the officials said. The teacher who participated in the pilot last year said the lack of formal observations and support might have been for the best, because he said during the year he encountered some capricious principals and was sometimes placed in jobs outside his license area. 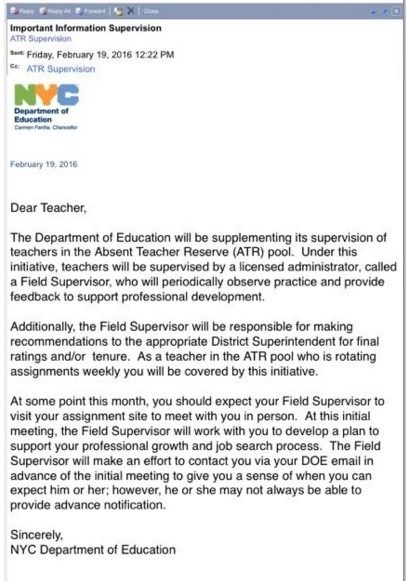 Field Supervisor James Quail retired as Superintendent, and went back to the NYC DOE after 6 months to work F-Status 3-4 days per week, paid per diem, as a "Field Supervisor", a new title for ATR observers who are not in the school at which the educator who is observed, works. • Assisted in the planning and development of various study group teams in order to support professional development and bring about instructional improvements, particularly around English as a Second Language acquisition and gifted education. • Attended numerous professional development conferences at Harvard, Columbia, and St. John’s University and at various locations within the metropolitan area. • Requested to deliver professional development workshops for school leaders, regional staff and other local instructional superintendents within the Department of Education and at Georgetown University. • Improved instruction through the use of professional learning communities within each school. • Facilitated a Best Practice in each school that focused on student work, primarily in the area of written expression. • Guided school leaders in building capacity with their schools so that they worked with a sense of organization for effort and efficacy. These schools never experienced one issue with their budgets and or use of resources. • Worked with Regional support staff in providing professional development to school leaders on aligning budgets to meet the instructional and diversified needs of schools. • Spearheaded a national health and nutrition pilot program that now operates in many schools within the District. • Developed a mentoring program that served to link and create working relationships between elementary, middle and high schools. • Encouraged schools and professionals to share and visit each other as they became smarter about the work related to instruction and Best Practices. • Gained the respect and admiration of all members of the Community Education Council within the District. Principal of a large elementary school with almost 90% free lunch students and in my last year of leadership, the school attained a 97.3 % attendance rate, no suspensions and almost 90% of its tested students achieved proficiency in reading and math. The school had excellent parent and caregiver participation along with strong community engagement and support. Great staff who planned collaboratively and worked feverishly to provide a caring and nurturing environment for students. Approximately, 7 principals started their careers in this award winning school. Supervised over 900 teachers working in the summer meals program along with school aides, coordinators and a central office staff assigned to support this program. Served as a team member who visited schools in need of support to assess, monitor and make recommendations for school improvement. June 1989 – August 1990 (1 year 3 months)Various high schools in New York City. Supervised staff and supported the summer principal in all matters, including teacher observations and development, transportation, ordering supplies, testing and setting schedules. Rendered examinations for the position of teacher, principal, educational assistant and various other titles. Also, helped develop and mark various examinations in these license areas. Served as an instructional assistant supervising grades 4 and 5 along with handling various administrative responsibilities, including supplies, ordering, scheduling and personnel. Developed and wrote a grade four planning guide that was shared with all teachers in New York City. I have spent my entire career in education focusing on the improvement of teaching and learning while creating positive and supportive environments for all students. At the present time, I would like to continue my journey by supporting schools in this exciting and challenging work. I have been given the exceptional opportunity to work and learn with some of the greatest educators, parents, students and community organizations who gave tirelessly to meet the diverse needs of all learners. Elected to School Board 30 in Queens and volunteered my time and service for this school community. Assisted and supported my daughter who was nominated to be Woman of the Year with the Leukemia and Lymphoma Society. She is raising money to support cancer research since she lost a dear friend to this disease. Her thirteen year old neighbor and her mom have battled this sickness. This has provided an added impetus for her to engage herself with LLS. Activities and Societies: Attended various conferences and workshops related to literacy. Activities and Societies: Attended week-long conference on education and the improvement of teaching and learning.